Asthma educators at the recent 2014 Association of Asthma Educators conference in San Antonio, TX recommend breathing exercises, staying active and relaxing meditation to people with asthma. Playing a wind instrument such as the Pulmonica® incorporates all of these treatments. We are proud that the top five most commonly recommended complementary treatments for asthma have all been incorporated into development of the Pulmonica®, said Dana Keller, PhD. If you have ever been unable to breathe, or witnessed someone having difficulty breathing, you probably wished you had an arsenal of treatments to battle this debilitating symptom of asthma, COPD, cystic fibrosis, and other breathing disorders. Currently, the only proven methods for controlling asthma are prescription medications and avoiding triggers, but other common treatments do exist. 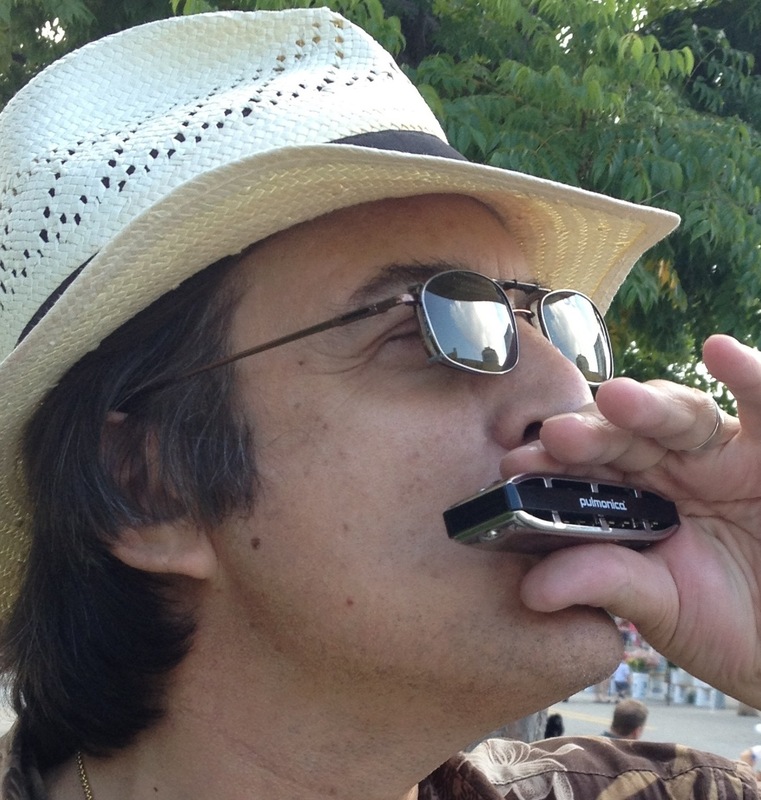 At the recent 2014 Association of Asthma Educators conference in San Antonio, TX, 34 asthma educators responded to a Harmonica Techs survey about alternative treatments for asthma. Further, 60% of the educators had recommended an exercise program similar to that found in pulmonary rehabilitation. 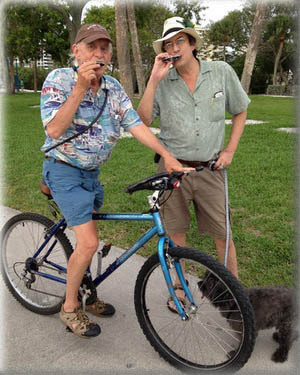 “Many people with asthma are afraid that exercise will cause an attack, but if proper precautions are taken, such as using an inhaler prior to exercise or having an inhaler nearby, almost everyone can benefit from staying active at an appropriate level,” said Dana Keller, PhD, president of Harmonica Techs. In addition, 51% of the responding educators had recommended relaxation therapy and meditation. Simple relaxation techniques such as progressive muscle relaxation and breath meditation have been shown to be beneficial for people with breathing difficulties. Rounding out the study, 20% of the educators mentioned playing wind instruments, which have long been thought to be good for the lungs. Besides the obvious deep breathing aspect of playing, the cerebral challenge and expression of creativity are good for mental health. 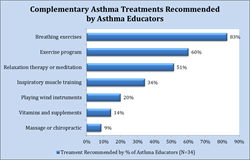 Other complementary treatments recommended by the asthma educators included vitamins and supplements (14%), massage and chiropractic (9%), acupuncture (9%), hypnotherapy (3%) and speech therapy (3%). 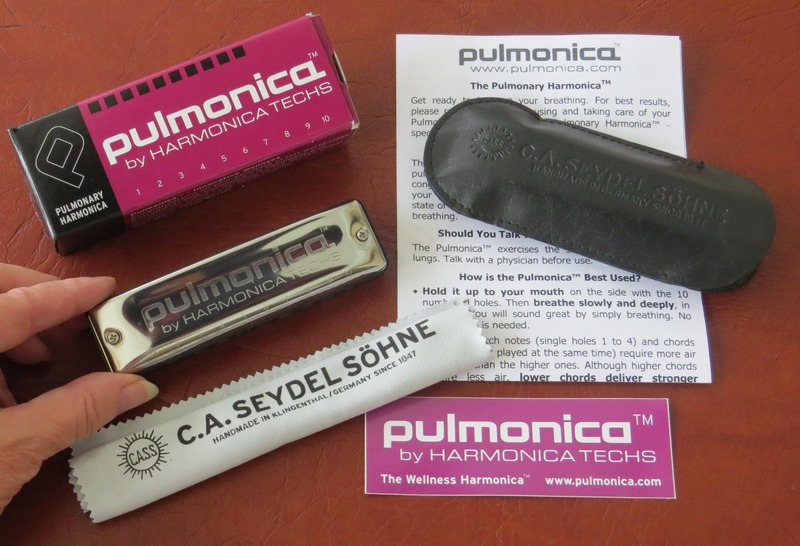 The Pulmonica pulmonary harmonica is handcrafted in Germany by Seydel, the world’s oldest harmonica manufacturer. Find more information at http://www.pulmonica.com and at the Pulmonica page on Amazon.com. The Kellers are available to speak to groups about harmonicas in health care and the Pulmonica. They may be contacted through their website, http://www.Pulmonica.com, or by calling 888-382-9283.